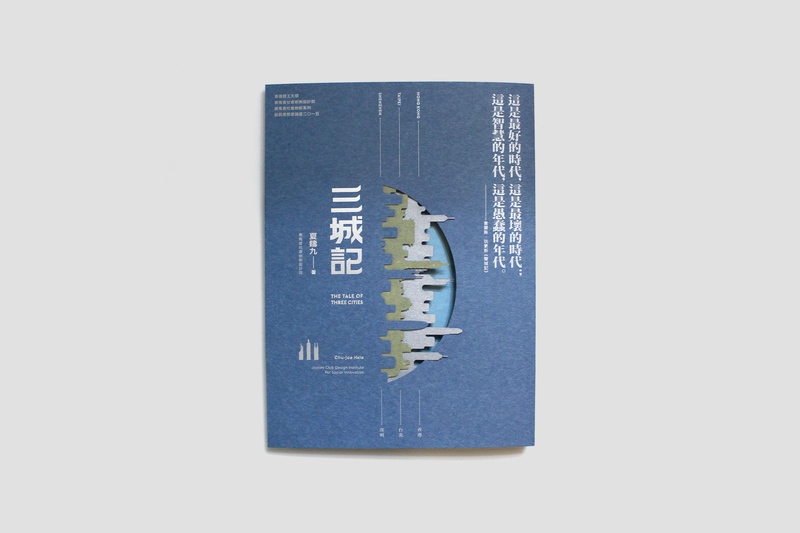 In “The Tale of Three Cities” of Professor Hsia Chu-joe, the constitution of theoretical hypotheses of heterotopias is crucial to the mapping of the relations between Taipei, Shenzhen and Hong Kong in the global information age and the development of the metropolitan networks through the three cities exchange what they see, hear and how they interact between themselves. They become a reflexive mirror for each other, from which the city, as well as her citizens, is reflected. Based on a comparative analysis of these three cities, the main design concept is comparing and overlapping the three cities of Taipei, Shenzhen, and Hong Kong. It compares the performance and interaction between these three cities. The design catches the readers’ attention and let them easier to understand. The colour blue and rich texture of the cover shows the professional and elegant feelings, with a literary sense. The colour blue also echoes with the main colour blue of the layout inside, which presents the concept of “Blueprint” in architecture industry. 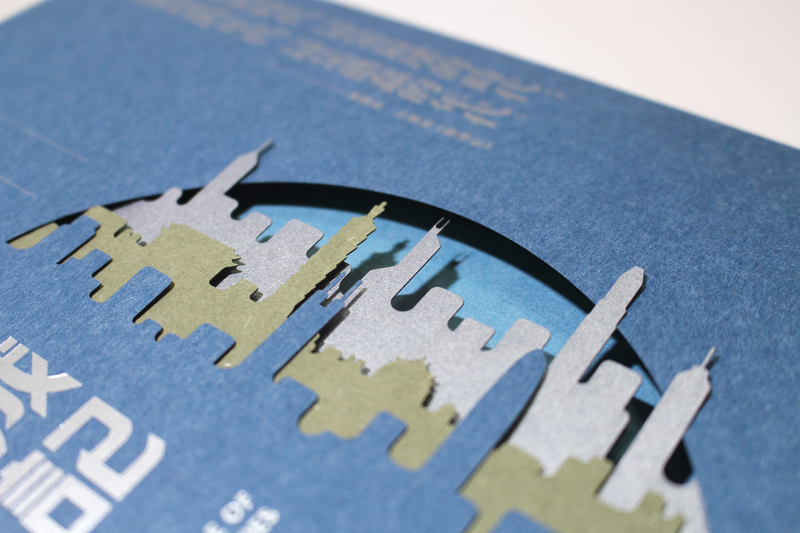 The colour silver and silver-foil-printing shows a kind of metallic city too. 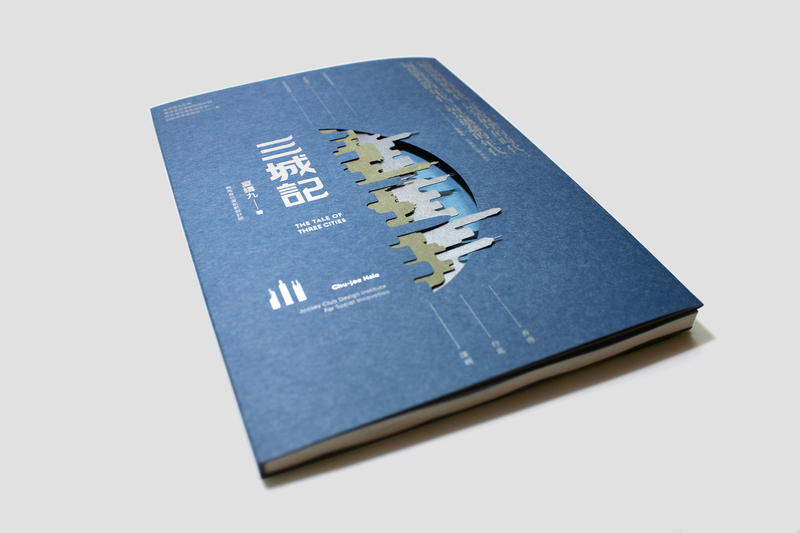 The first layer is a blue city skyline of Shenzhen, including the remarkable buildings of Di Wang Tower and Kingkey 100. The second layer is a green city skyline of Taipei, including Taipei 101, Taipei Railway Station, and Chiang Kai-shek Memorial Hall. The third layer is a silver outline of the Hong Kong city, including IFC, Bank of China, Central Plaza, etc. The book jacket, the inner cover and the folded flaps are used different coloured papers with different Laser-cut effect. They are combined and overlapped together to present the urban morphology of different cities. The title typeface design of “The Tale of Three Cities” is custom-made with thick strokes, which shows a feeling of geometry of a city.